﻿ Get Your Decor Straight With This Spanish Home By The Sea! Get Your Decor Straight With This Spanish Home By The Sea! Ready To Fall In Love With This Amazing Home? Fall in love with the amazing details that this spanish home by the sea has to offer! The incredible way to fit the right lighting designs into a simply astoundingly simple but mesmerizing decor into one place that is going to make your home look freshly new! SEE MORE LIKE: Ready to Meet The Designer Of The Year? We Have All The News! This seaside modern apartment design in Spain is a must. Great views, cosy interiors filled with style and a great taste when it comes to lighting this modern interior design is filled with sunny dreams and inspiration! For starters, this is one of our favourites: an open floor plan. The perfect marriage between small spaces and joined rooms, the living room and the dining room place are just one of the few important details. 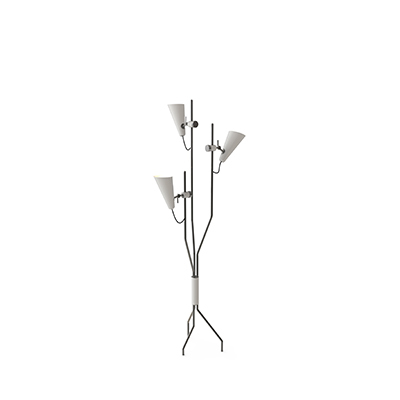 When it comes to lighting up the room, a modern floor lamp is always a good way to make it big and stylish way. Coming in different shapes and sizes the commodity of these lighting designs bring are simply splendorous and can make any home go big or literally go home. Fitting into this modern home design like a glove, all you need is to choose the best one that will fit your home interior decor and go for it! You won’t regret it, just scroll a bit and you’ll find one that will make your eyes shine with love as soon as you see it! As we continue on this home tour we find several aspects that we love. The wall accents seem to get on perfectly with the big window overlooking the sea. The blue hues of the room that are spread in the room like in the pillows and mid-century furniture. Amy, inspired by the one and only icon of jazz music comes into play. This vintage floor lamp is the one to soothe your tastes and thirst for the homage to the iconic singer Amy Winehouse. Bringing some of the appropriate light to any setting. SEE MORE LIKE: Moon And It’s Minimalist Lighting Designs Fitted For You! We hope you liked it. Feel free to pin the images to your favourite interior design board. And don’t forget to explore our Pinterest boards for more Modern Floor Lamps ideas and inspiration. Subscribe our newsletter and get to know our best weekly features. 10 Home Office Ideas To Inspire Your Own Home Office! 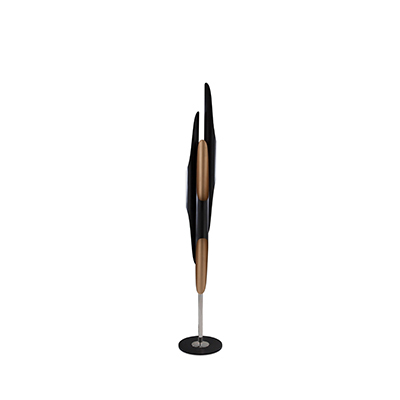 Floor Samples Has Brand-New Modern Floor Lamps! Interior Design Furniture Pieces From Around the Globe!